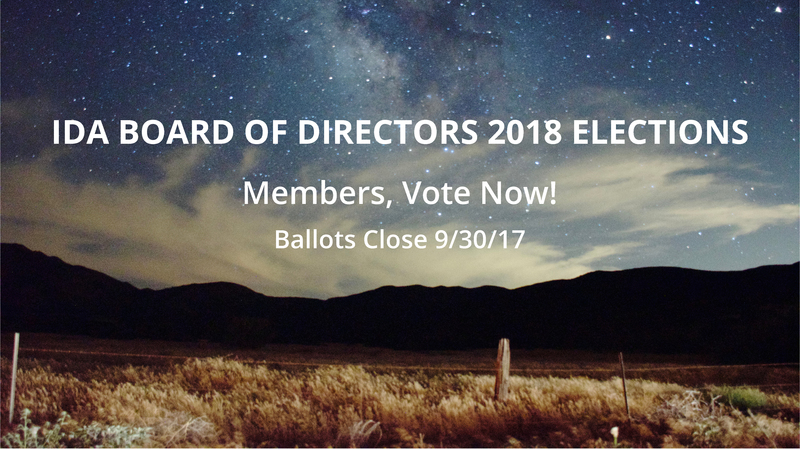 Members of the International Dark-Sky Association play an important role in the future of the organization by voting for the Board of Directors. This year, IDA members can select from five candidates to fill three board seats. Online and mail-in ballots were sent to members of the organization August 27th. Please check your email or mailbox for your ballot, and cast your vote before September 30th. If you need assistance, contact IDA Membership Director, Susan Ciarniello at susan@52.10.225.191. To learn more about the benefits of membership or to become a member of the International Dark-Sky Association, please visit https://www.darksky.org/ways-to-give/membership/.